Grand Rapids, MI (March 17, 2014)—The Junius Institute’s first digitization initiative of early modern sources gained important support today when the Davenant Trust announced a grant to create digital editions of the collected works of one of the most significant Reformed theologians of the sixteenth century. 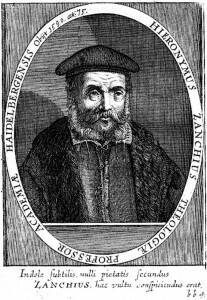 Girolamo Zanchi (1516-1590) was a third generation reformer, an exile from Italy who taught in the Reformation cities of Strasbourg and Heidelberg. His collected works, covering 8 total volumes and nearly 4,000 pages, were published after his death and exercised a major influence on the development of Reformed thought into the seventeenth century and beyond. The Davenant Trust is sponsoring the digitization of Zanchi’s Opera omnia, providing a significant beginning to the larger initiative to digitize the significant rare book holdings at the Calvin College campus. The digitization of Zanchi’s collected works will feature all of the significant contributions from the pen of this noteworthy theologian. And yet these thousands of pages of published text represent just a small foretaste of a larger, multi-phase project to digitize the world-class collection of rare books at the H. Henry Meeter Center for Calvin Studies and Hekman Library of Calvin College and Seminary. While the Junius Institute will continue to raise funds to eventually make available all of the rare book holdings, this initial phase will cover roughly 60 volumes and 60,000 pages of printed text. Dr. Richard Muller, a senior fellow at the Junius Institute and the P.J. Zondervan Professor of Historical Theology at Calvin Theological Seminary, noted that Zanchi’s contributions to the development and maturation of the Reformed tradition are often under-appreciated. “Zanchi was one of the key figures in the later generations of the Reformation. As a younger contemporary of John Calvin, Heinrich Bullinger, and Peter Martyr Vermigli, Zanchi stands as a major contributor in a variety of areas, especially in his philosophical treatises, exegesis, and doctrinal and scholastic works,” said Muller. Zanchi’s works, like all of the project’s digital editions, will be released under a Creative Commons license, allowing wide use and distribution for academic and scholarly purposes. The digitization initiative will also create a collection of source texts that can be used for a variety of future digital research purposes and projects. 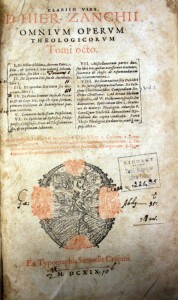 The Junius Institute for Digital Reformation Research at Calvin Theological Seminary (www.juniusinstitute.org) seeks to further the advancement of studies in early modern (ca. 16th to 18th century) theology and interconnected disciplines through the use of digital research tools, skills, and sources; to foster the presentation, preservation, and public use of primary and secondary sources within the public domain; and to encourage via educational and curricular means the study of the documents themselves, their content, as well as the technical skills required to interpret and analyze these materials. The Davenant Trust (www.davenanttrust.org) sponsors Christian resourcement in scholarship. The Trust’s aim is to revitalize contemporary Reformed and evangelical discourse by sponsoring scholarly endeavors at the intersection of the church and academy: the proliferation of the digital archive, the retrieval and translation of classic texts, the development and support of Christian study centers, and the sponsorship of individual scholars engaged in historical work for the sake of the contemporary church. 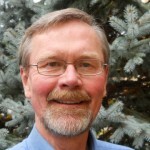 Dr. Sinnema is a professor of theology emeritus at Trinity Christian College, Palos Heights, IL. His main field of scholarship is historical theology, with a focus on Post-Reformation studies. He wrote his Ph.D. dissertation on the Synod of Dordt, and he is currently one of three general editors working on producing a nine volume critical edition of all the documents of the Synod of Dordt (1618-19). A screencast of Dr. Sinnema’s presentation with audio is embedded below. More information about the project is available at the Refo500 website, where interested scholars can find more details about how to get involved.